DREAM BIGGER; THE TIME IS NOW! What do famous people like Albert Einstein, Walt Disney, Benjamin Franklin, William Tell, Mahatma Gandhi, Winston Churchill, and Martin Luther King all have in common? We’d say a vision – a big dream – fora better future. Every single one of these men dreamt big and had passion to fuel their vision. Quite frankly the time for back slackingis over and we need to step up.Everybody has a purpose, all you need is vision. Fear however is why our dreams get lost in the clouds. If you do not believe in yourself, you stop yourself from following your dreams. Where you come from should not keep you from achieving your dreams!Make your dreams bigger than every fear of failure in your life. It is important to ask questions and to find out the answers to the things you always wonder about. Remember you don’t know what you don’t know. Build an army of knowledge to fight for you and your dreams. We have talked about setting goals, these are all building blocks to reach your dreams. Think of it as a way of getting closer to your vision, your vision that will fuse passion to eventually reach your dreams. 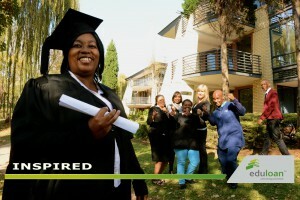 At Eduloan we believe in you and your dream for the future. Now go on… dream as big as you possibly can. There is nothing stopping you!